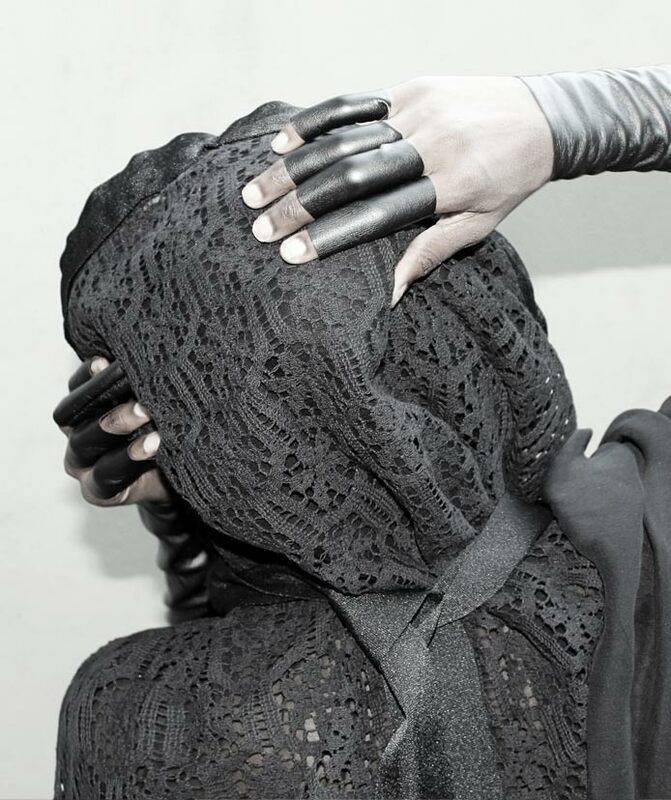 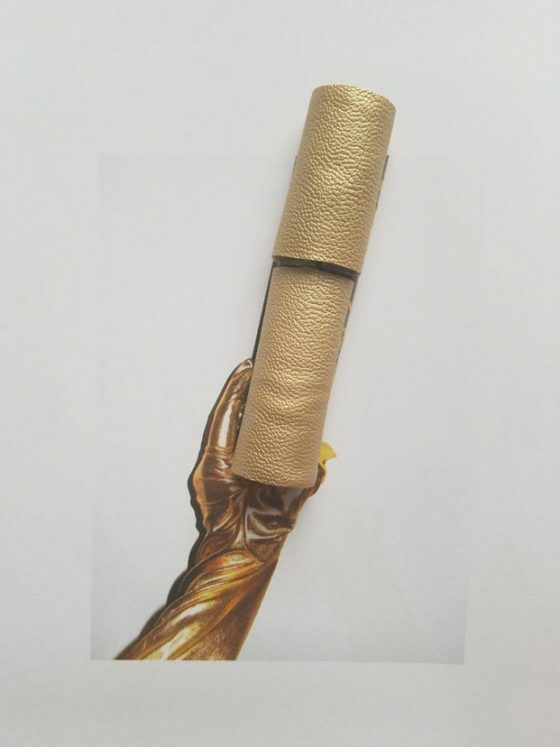 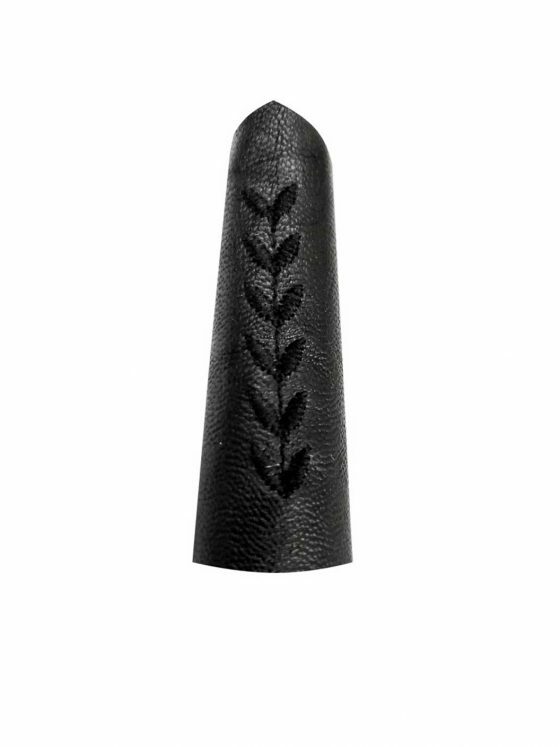 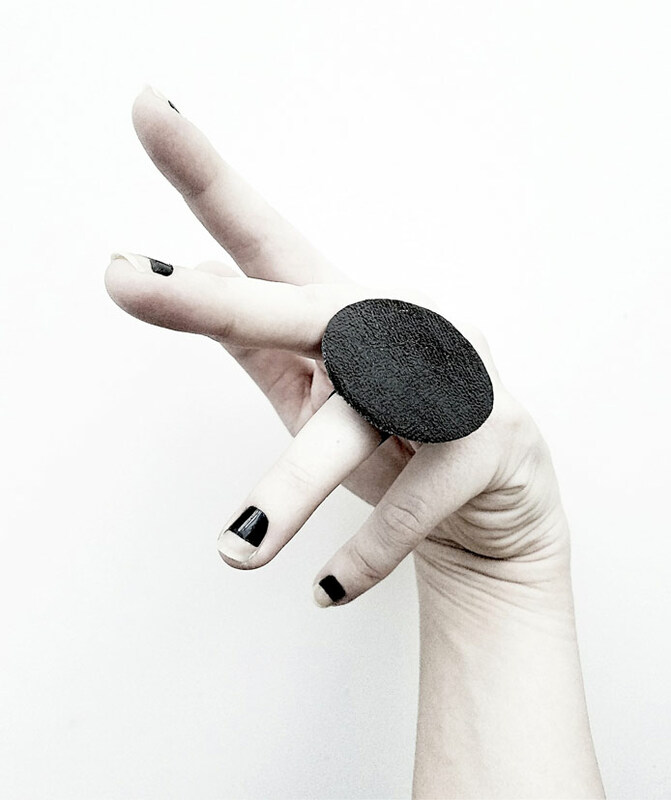 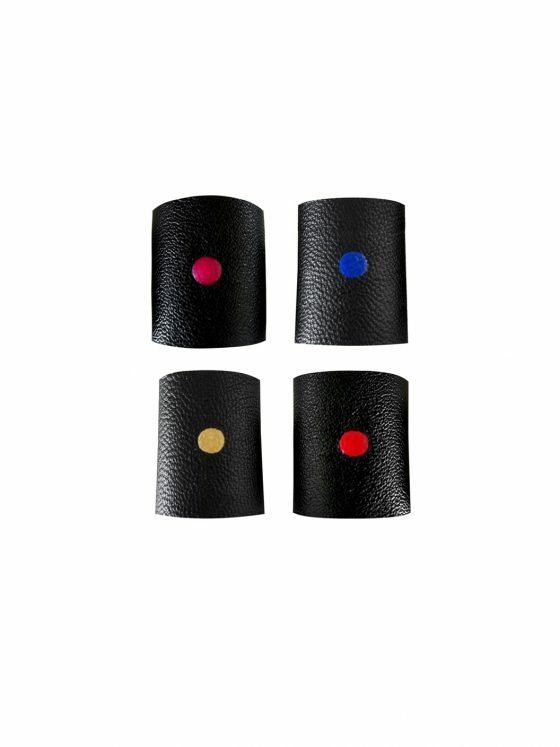 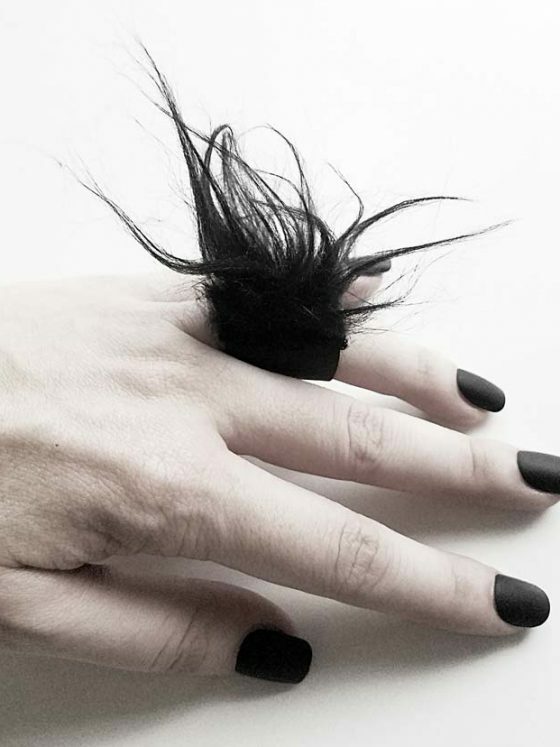 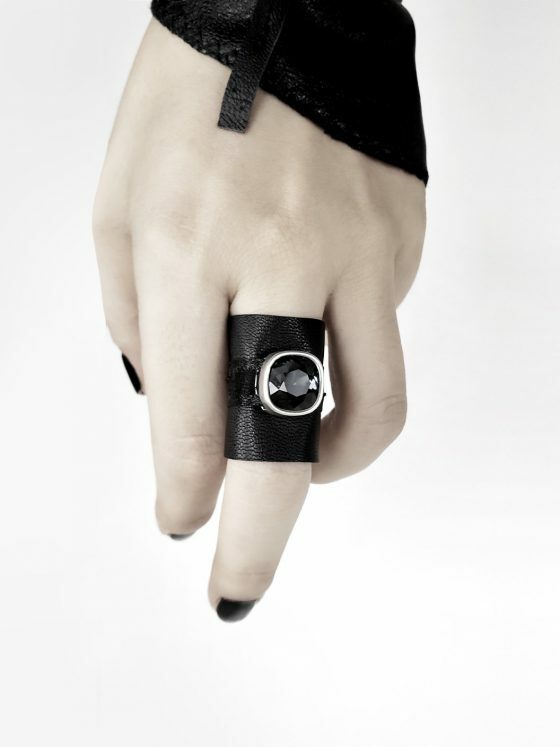 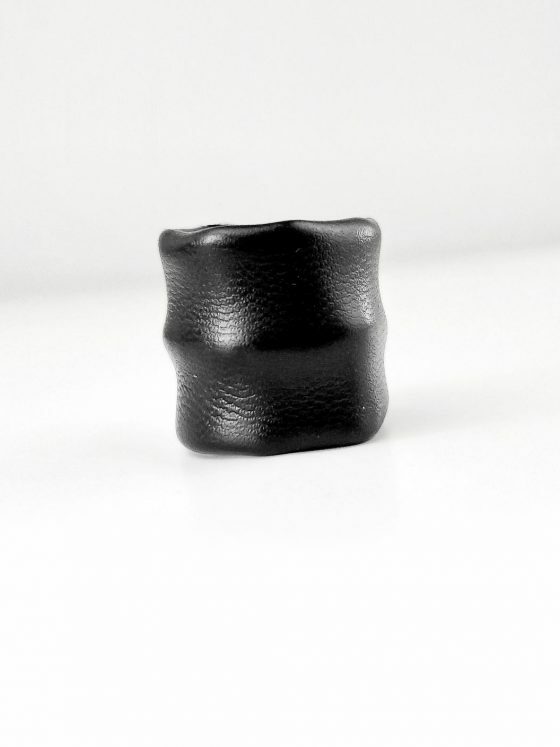 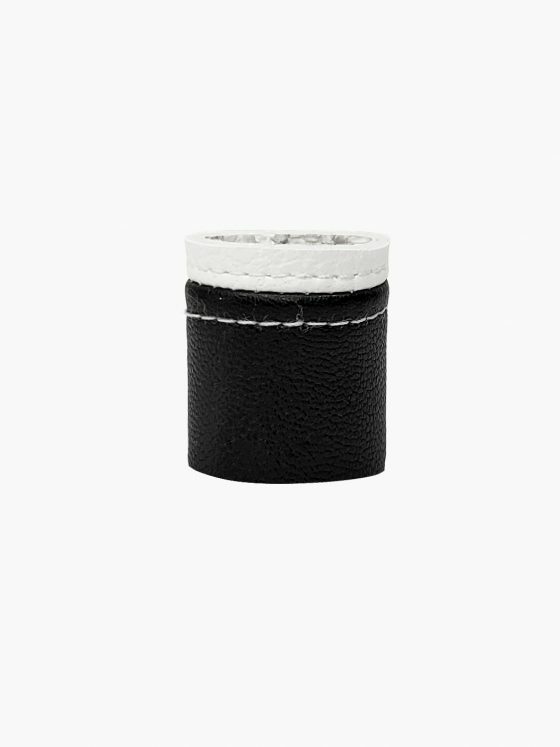 Round black vegan leather statement ring. 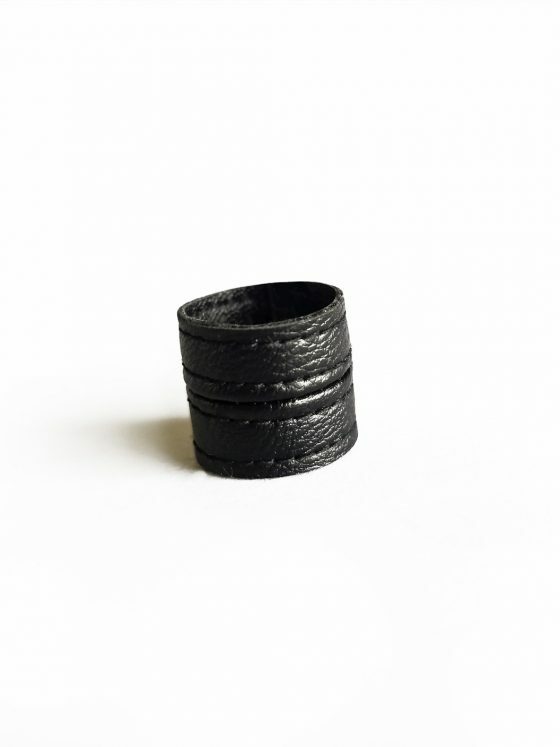 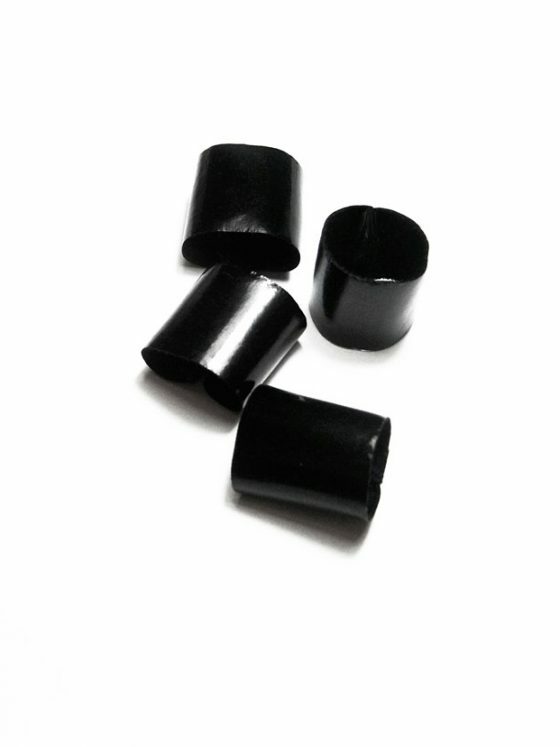 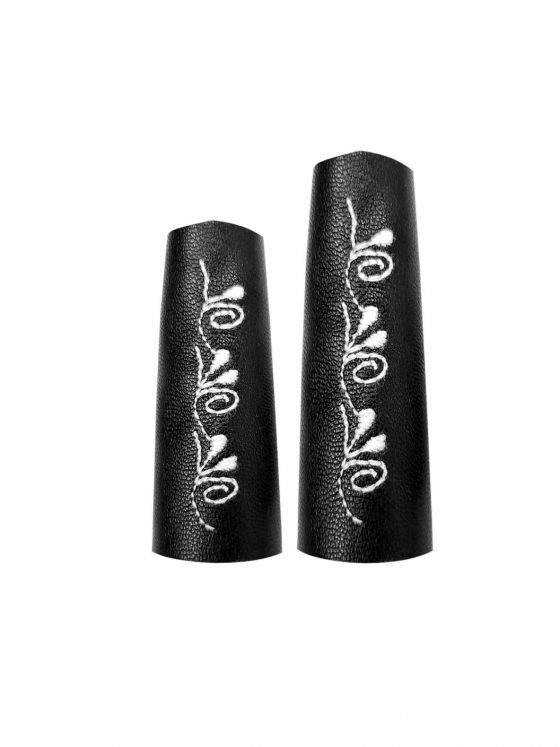 Stretch matte black ring band with a double layer semi shiny round design. 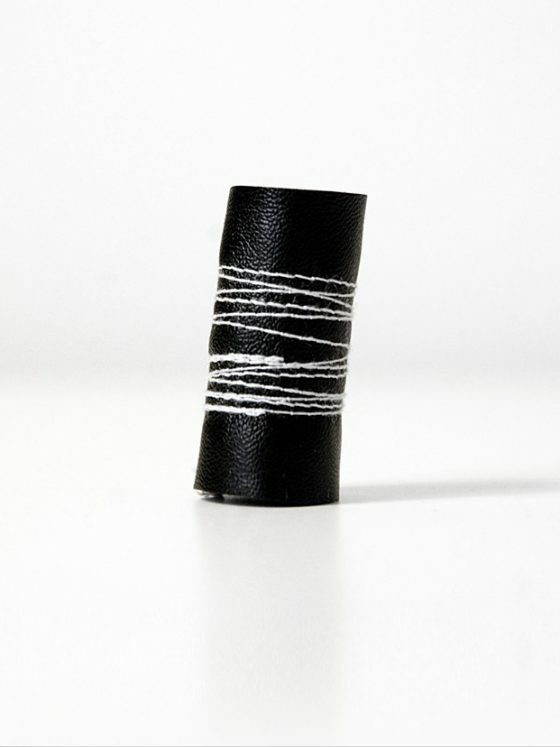 Diameter 45mm (1.7″). 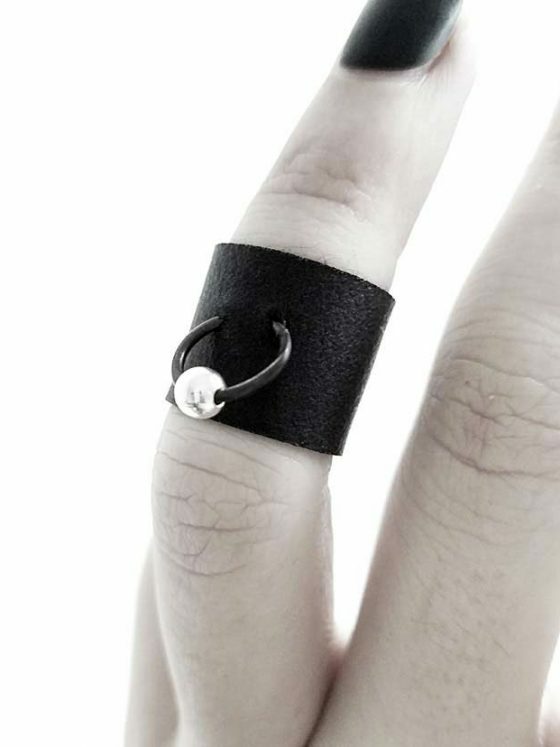 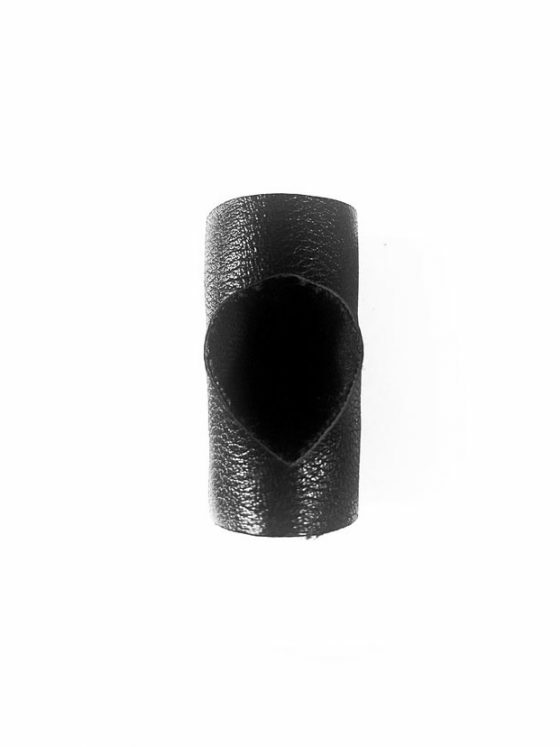 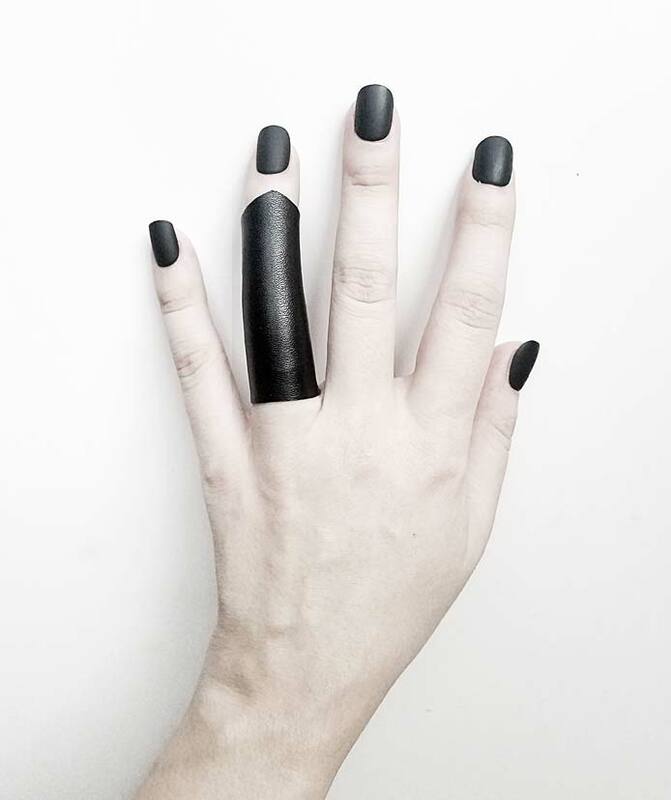 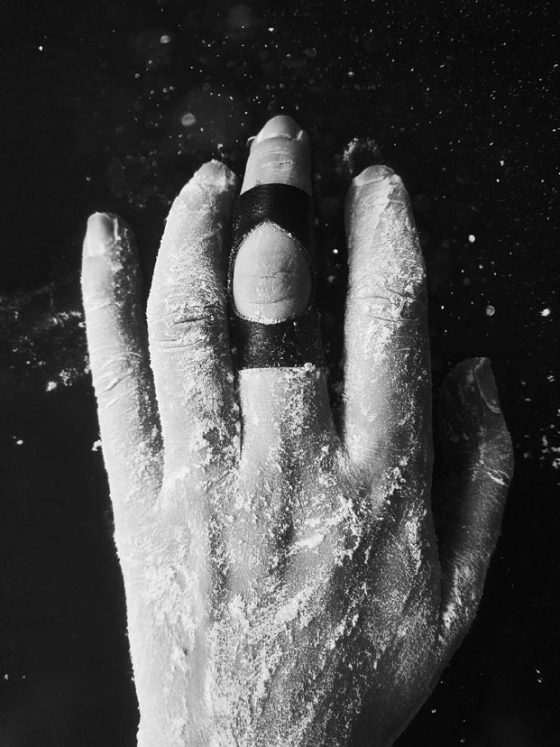 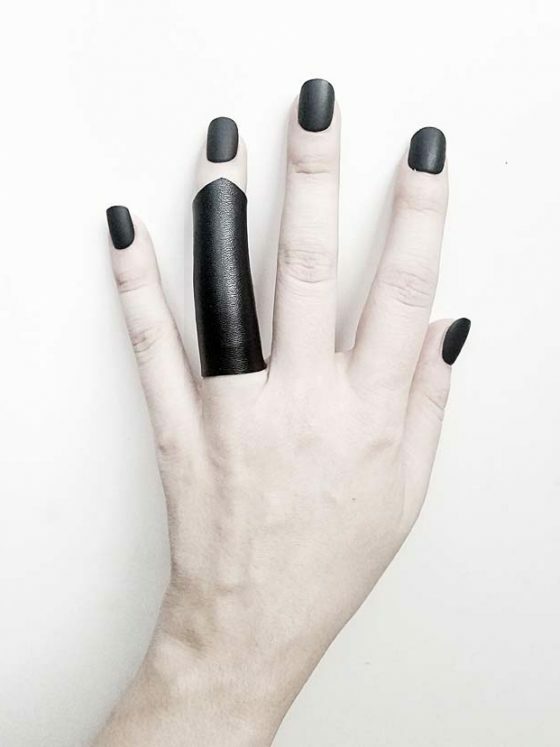 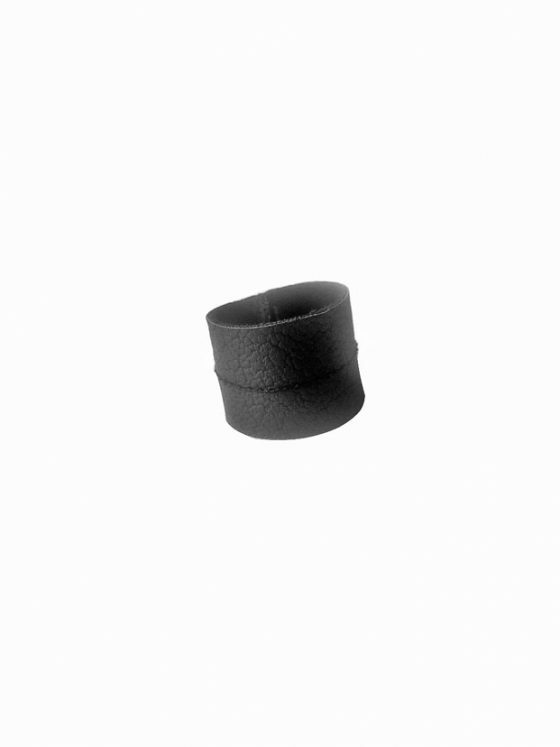 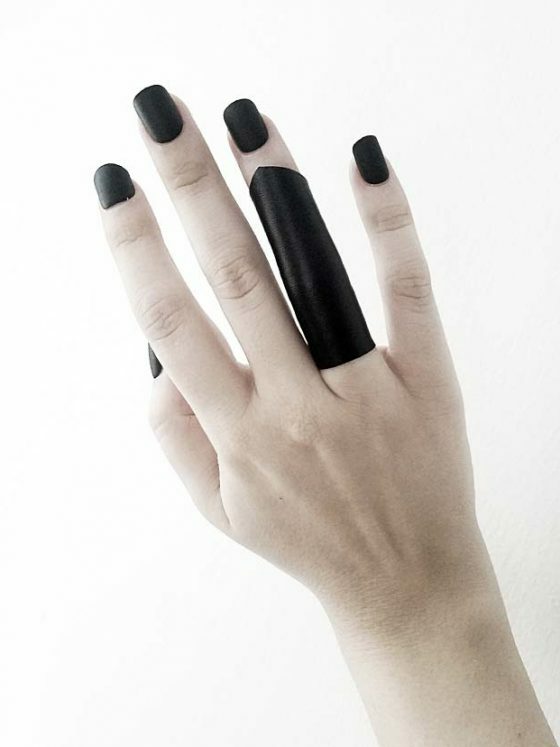 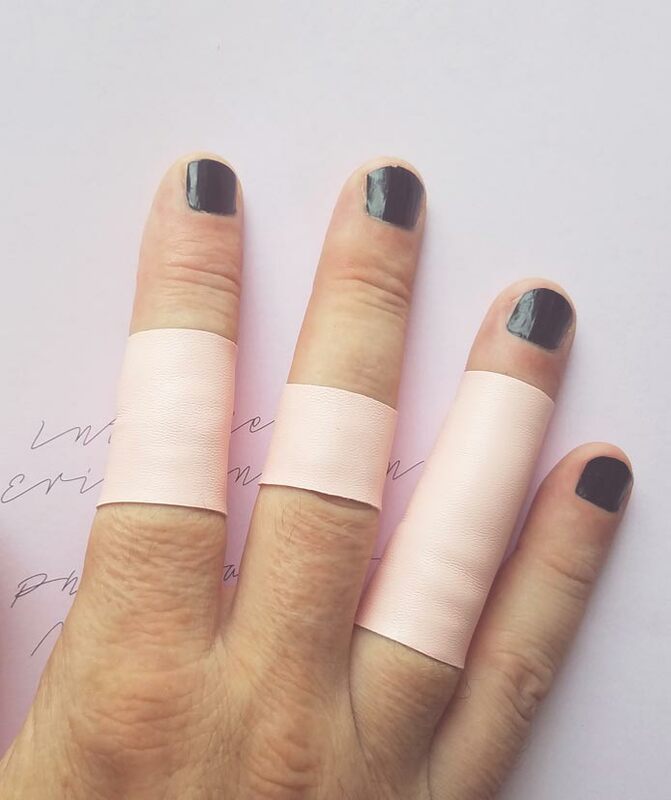 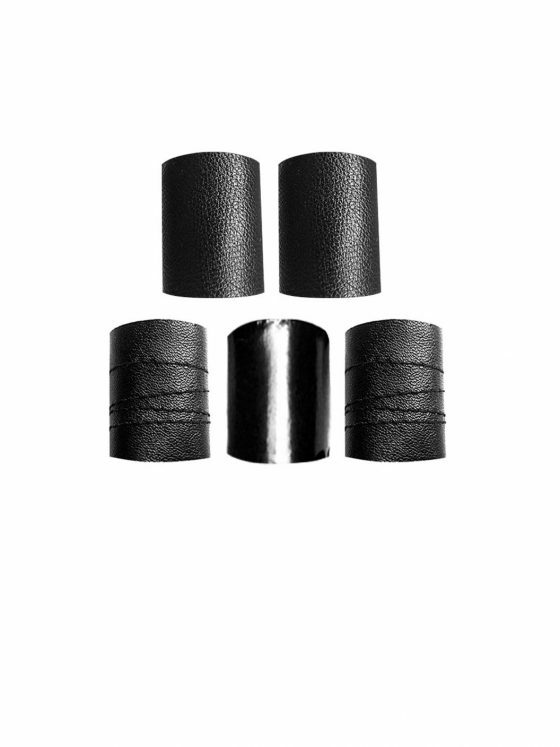 Black matte vegan leather ring band. 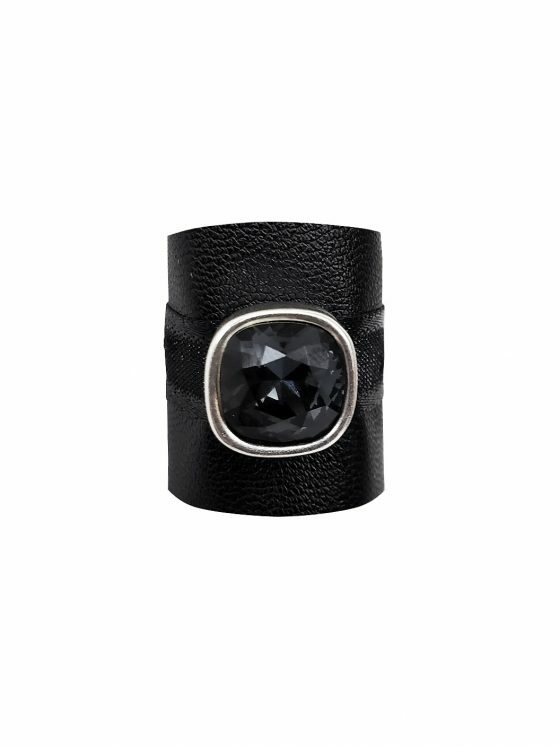 Semi shiny, semi textured double layer round top.